Launching September 6, the new bundle features a sleek new Glacier White PS4 Pro alongside a copy of Bungie's space-faring sequel. The beta for Destiny 2 kicks off very soon (July 18, to be exact), but we’re starting the celebration a bit early with the reveal of our Limited Edition Destiny 2 PlayStation 4 Pro Bundle. This bundle will be available alongside the game’s launch on September 6. It includes a Glacier White PS4 Pro with a 1TB HDD, matching DualShock 4 Wireless Controller, and of course, Destiny 2. You’ll also receive a voucher for the digital content pack which gives you access to the Expansion Pass and premium digital content. This limited edition bundle’s MSRP will be $449.99 USD/$549.99 CAN. You can pre-order yours starting today. To help you prepare for battle, all Destiny 2 players on PS4 will have access to bonus content before it is available anywhere else. You’ll find a competitive multiplayer map, a three person co-op Strike, a new ship, specialized gear set and an exclusive exotic weapon. If you’ve been waiting to make the jump to a PS4 Pro, this is a great bundle to pick up. With a wealth of games enhanced for PS4 Pro, and a variety of 4K video streaming content, now is a great time to dive in. Let us know what you think of the bundle in the comments below. Hope to see everyone online next week for the Destiny 2 beta! That’s purrty. Just wish it had the smoking remains of the Last City etched into the faceplate. No amazing custom PS4 Pro?!?! TTK PS4 was beautiful! I got the white PS4 that came with Destiny when it came out. I like it a lot more without the design and am glad I waited to buy a PS4 Pro them to do it again. I have a white one too and I’m not even a fan of destiny but the console is beautiful with the art design and that was one of the reason to bought it. Why is not happening on this one? I hope this means more PS4 Pro bundles in the future. I’d like some more announced for Black Friday. Available at Amazon & Gamestop now. Best Buy should have it for pre-order shortly. Where can I actually pre order this thing right now? Already got my Pro and not a Destiny fan, but if you are a fan and don’t have a Pro, get it. Games in HDR and 4k are amazing. If you don’t have 4k, you can still get (most of the time) a decent performance and (sometimes) visual boost. Keep in mind that true 4k gaming is still not ready for primetime yet. The X1X, despite the hype, won’t have across the board 4k support (@ 30 fps). Even my Geforce 1080 ti with i7 6800 can be pressed to do 60 fps at 4k in certain titles (with graphics maxed out) on PC. Im actually happy they didnt include the 4k blu ray player because it saved me money on having a feature I wont use. I dont buy physical movies anymore, all of Disney/Marvel movies are on netflix within a month of their release, and I can rent HD versions of every other movie to stream either through my 4k tv or pro. Super excited for D2, would have prefered a graphic on the console similar to the TTK ps4, but getting the expansion pass and game for $50 is a good deal. Its not dumb its their business strategy. More people stream 4k content than purchase expensive physical 4k discs. Dvds still outsell blurays because of how cheap they are. And the ps4 is a gaming console first. Considering the pro is selling better than sony expected im not the only dumb one. It’s good for sony, not for the consumer. Which is all I care about. A consumer wouldn’t buy a 4k blu ray player for 300.00. Granted the xbox is a lower quality UHD, but I would buy that before I spent 300 dollars on a blu ray player and save 100 dollars on top of getting another gaming console. Actually the Pro can run games in native 4k but devs are using the extra horsepower to improve visuals in other ways since the difference between checkerboarding and native is so small, Skyrim and FIFA 17 run native 4k on Pro. While the Xb1X is being proclaimed the most powerful console the fact that its coming benefits the Pro because more 3rd party devs will make more use of the added power on both consoles. Only M$ exclusives will truely show off the power of the Xb1X but they dont have very many of those outside of Forza coming. As for the whole UHD Blu ray player issue, M$ is doing everything they can to compete with PS in sales, including having an expensive blu ray player in their console which results in a loss of $ per console sold, while PS has been in the black with Ps4 for 2 years now. Will this be available for purchase in the US? The bundle looks amazing, it’s surprising there are not many coloured PS4s on the market. Plus the white look sleek! For the love of all that is holy.. LET ME PRE-ORDER before my screen breaks from my wallet being thrown at it over and over again. I was hoping for a design like the PS4 Destiny 1 bundle or at least something that would represent this game. I guess i would have to wait on getting the Pro for now. But still a good deal for those who are planning to get Destiny 2 and don’t have a Pro. 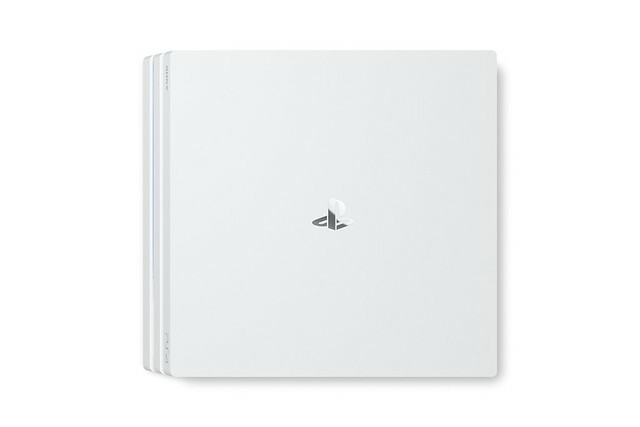 You do know OG Destiny released with a plain all white ps4 too, dont you? I’m pretty sure the person was referring to the TTK bundle. 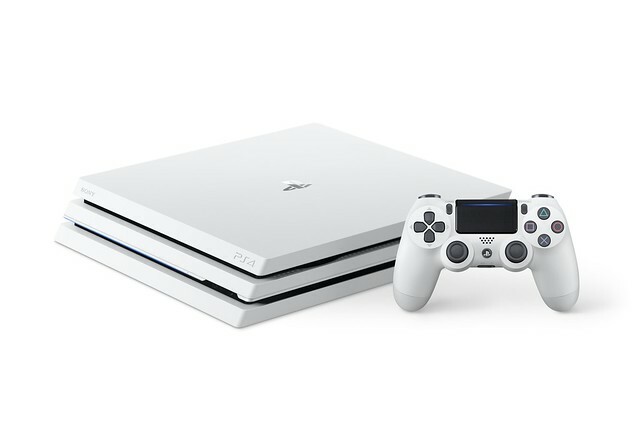 Wtf just a white ps4 pro. Thought they would have done a cabal based theme. Looks good but with Bungie and Activision you will never know, so, I am waiting until the first reviews AFTER the release date to make my decision and anyway after playing Destiny for many years you get to know that Destiny is not to be bought at 100, 90, 80, 70 or even 60 dollars, the fair thing to do is to wait for a 40 dollars offer, that is a fair price for the content. Looks, emm… white. Guess the price is right, you get a copy of D2 and it’s expansions. Interesting, does it come with a physical copy of game? I see the promo picture includes a disc case, but what if there is a voucher for game alongside expansion set. Looks quite nice!! And it’s also very nice to see the PS4 Pro finally getting some bundle loving. More of this needs to happen! I’m sorry, but PS4 special edition consoles are pretty lame compared to Microsoft. You just changed the color and bundled the game… There’s nothing special about this. No custom art etching on the system or controller and no custom sounds. Also, diehard Destiny fans, like me, have already pre-ordered the game long ago. I would love to get it but nah I will stick with black. Glacier white tend to get a little yellow later if it sit there for a while. I had a Glacier White PS4 with Destiny and Limited Edition Glacier White PS4 with TTK. I love it but didn’t like when it turn a little yellow for a while so I traded both in for a black PS4 Pro. This bundle is very tempted for me but I will try resist it this time. There’s no Destiny logo or anything on the console? Is there suppose to be a code for the beta when you pre-order that set? I didn’t get one from EB Games. I pre-ordered from Amazon and Gamestop and didn’t receive a beta code. If I preorder this, will I still get beta access? I would buy that white PS4 Pro, but I’m not paying extra for a crummy game to come with it. For those that pre-order the bundle, will they be able to get on in the beta? I Currently have the og white limited ed PS4. I was waiting for a new Pro bundle, but I think Im gonna to wait n see if Red dead 2 or Spiderman comes out with a better looking Pro Bundle. This one is to plain, for that I just keep the one the I have now. Im glad its just all white.Im just wondering if there are any silent upgrades to it like fan and ethernet ports or anything like that. Since it’s pre-ordered, do we get a beta key? I pre-ordered from Gamestop and Amazon and did NOT receive a beta code. Doesn’t mean they wont come, but not with the initial email. Be nice if it had graffix like ttk edition. Will wait to see one then order. Please change to digital so you can ship now. Or provide the digital option so we can get the system now. I’ve pre-ordered on Amazon. Trading in my old PS4 so now until September I’m w/o a console…lame! Just got my pre-order in with Amazon, if you login to Discover and activate your Amazon 5% cash back offer you can get 5% back on this when you use your discover card. There should always be 2 color version of a console when it launch a Black and White version. I already order Destiny 2 Deluxe Edition I would love to have White PS4 Pro when I upgrade from the original PS4 Destiny Limited Edition but don’t want pay extra for a game I already own. Why is the PS LOGO on the system been scratch off? looks horrible. looks like my kid got his finger nails to long and scratched it off. there is no need for this. What if I’ve already preordered Destiny 2 from PSN? Can you confirm if the game will come as a physical disk, and will the voucher be included in the Destiny 2 box for the disk or separate? If the copy of destiny 2 was entirely digital and not disk based I might have bitten. Please tell me, this will be released in europe (germany), too! I am not allowed to hook up my black Pro to our Bravia. This could push my girlfriend over the edge buying a second Pro. Do you get Beta Access by purchasing the pre-order for this bundle? Lemme be honest, I’m thinking of owning my first console & I’m looking at it on this blog. And for the record I have zero interest in the game, but the console though looks hella Dope,Fresh & Angel Like. Can we get confirmation that console pre-orders get beta access code? First off I pre ordered this bundle from gamestop as o currently own a ps4 pro (black) and love it but I also back in the day had the original destiny plain white system and loved that system and I’m glad they are bringing back the plain white. To all the complainers about no graphic art think about this, if you play more games than destiny then why would you want a destiny only art scheme on your system? I know its nice for a collecters stand point but most of us gamers don’t play a game forever and having to look at that graphic after your done with the game can have you having regrets. I believe the bundle comes with a physical copy of destiny 2 with a voucher for season pass and extras. Overall its a very nice bundle deal so stop complaining. Oh and to the person talking about the system turning yellow? Mine never turned yellow so what were you doing to your system lol? this bundle looks really very cool and it makes so excited that I want to buy it!!!!! WHY WHY WHY are they putting 1TB in that AWESOME machine … its 2017! when is somebody going to realize we need more capacity ?? especially with VR technology and gaming pushing us to want more content … sigh!!!! This bundle is for a Glacial White PS4 Pro that -comes with- Destiny 2 (it will continue to be the same after the launch, of course)..Does preordering this give you the Destiny 2 preorder items (e.g. exotic trace rifle and killtracker ghost)…? I don’t see how they would flag purchases prior to the street date to receive the preorder items when it is being sold from so many resellers. Plus, it won’t even be installed until after the preorder period has ended since it’s a physical disc and not pre-installed. Myself and a few others are to the point that we feel like we should preorder digitally as well on PSN just to ensure we get the items and then sell the physical copy after launch.